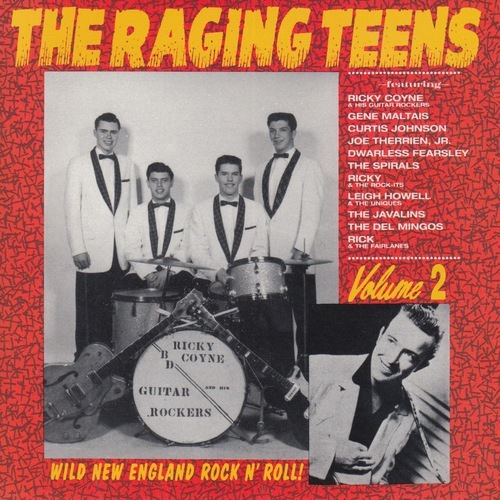 (Norton 228) New England's biggest fifties teen hit parade fare was the Tune Weavers' hokey call to swoon Happy Happy Birthday Baby, but y'all know the charts don't mean squat here at Norton and after mucho diggin' around, we've uncovered over seventy frantic rockers (nearly half unissued!) from the US of A's seemingly staid upper right hand corner! 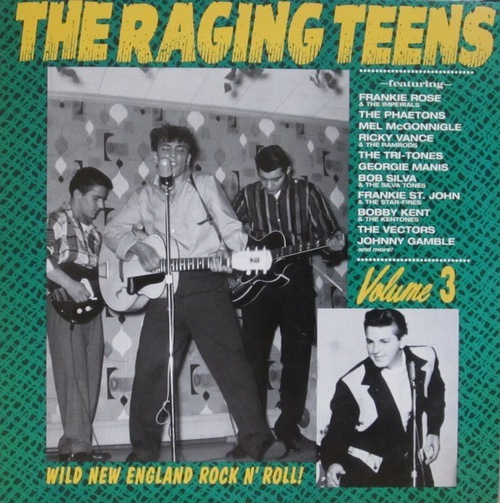 Loads of pix, stories and above all, sonic rackets from celebrated maniacs like Gene "Gangwar" Maltais and Mel "Rattle Shakin' Mama" McGonnigle to unknown hipsters like Frankie Rose & the Imperials and Bunky & the Rocktones! 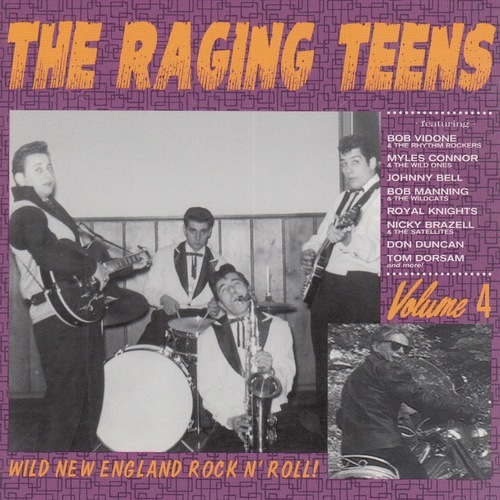 THE WILDEST SCOOT THRU NEW ENGLAND SINCE PAUL REVERE'S RIDE!! 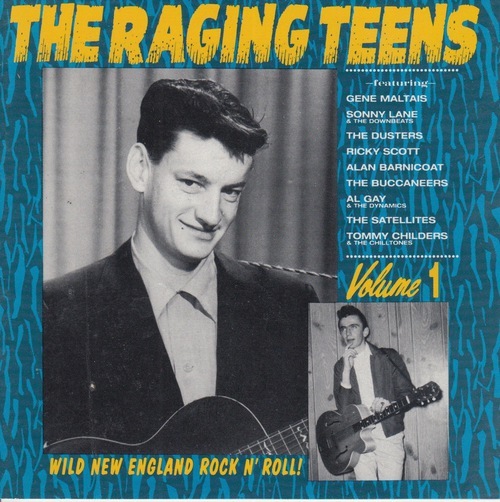 Click the button below to add the 228 THE RAGING TEENS VOL. 3 LP (228) to your wish list.